This new book provides a succinct, authoritative introduction to the Island's rich history, culture, politics, and economy. 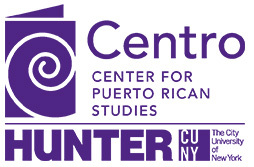 The book begins with a historical overview of Puerto Rico, and delves into the demographic, economic, political, and cultural features of contemporary Puerto Rico-the inner workings of the Commonwealth government and the island's relationship to the United States. Lastly, the book explores the massive population displacement that has characterized Puerto Rico since the mid-20th century.